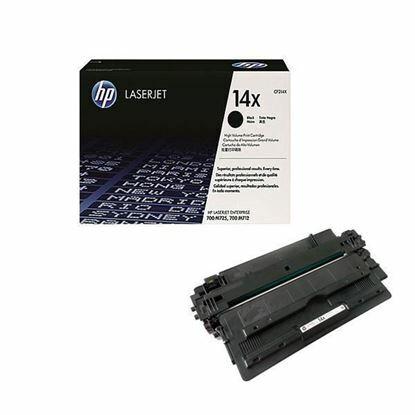 The HP LaserJet M725z printer is big but effective. Multiple paper trays, output trays, copying, scanning and a large display screen. 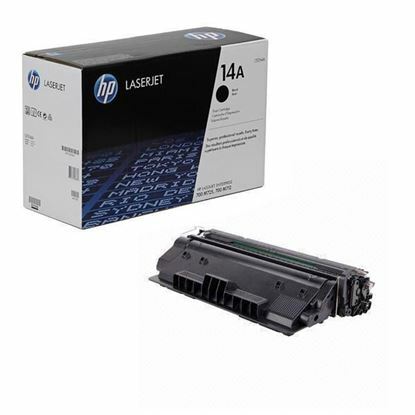 So you will want to furnish your printer with top quality cartridges- either our 10,000 page yield offering of the HP 14A toner cartridge or the more cost effective HP 14X which will give you a whopping 17,500 pages of printing.